This Halloween, dress up as your favorite TV or movie character without breaking the bank. Keep reading for 9 pop culture costumes you can easily make at home. Nothing like breaking out a zombie killer for Halloween. 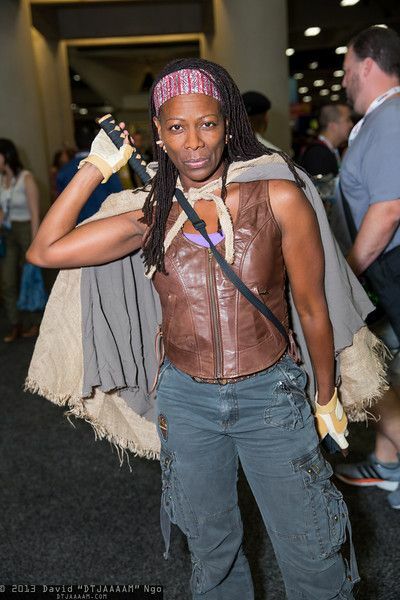 Michonne, the ultra-popular character from The Walking Dead, sports ripped cargo pants, a vest or tank top, a headband and, of course, her trademark sword. Finish this look off with some dreads and get your zombie-killing face on! To pull off a Harry Potter costume, you’ll just need a cape, some glasses and an expertly drawn lightning-bolt scar on your forehead. Make sure to use the colors of Gryffindor (burgundy and gold) and complete this costume with a homemade wand. 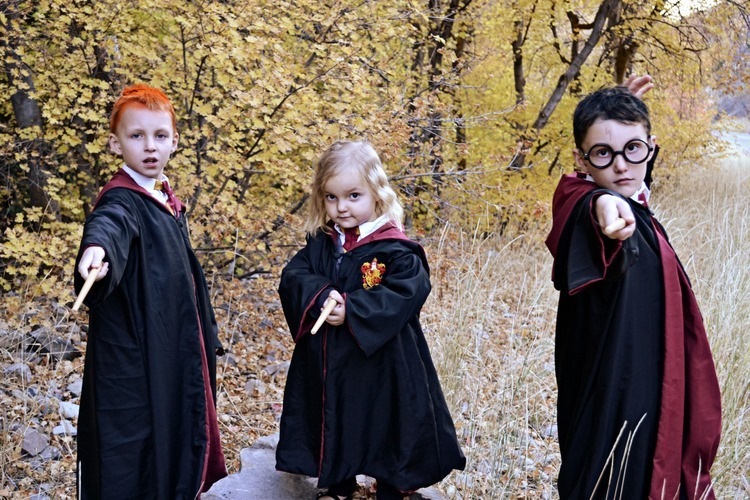 If you’re dressing up the kids, you can include Ron and Hermione to make it a group costume! Have some blue and black makeup? Pair that with red lips, a red long-haired wig, a funky dress and some pumps and you’re good to go! Sally has bluish-gray skin on account of being a dead doll, so you can put away the blush this Halloween. To finish off the look, use some black eyeliner to create her stitched-together look on your face and arms. 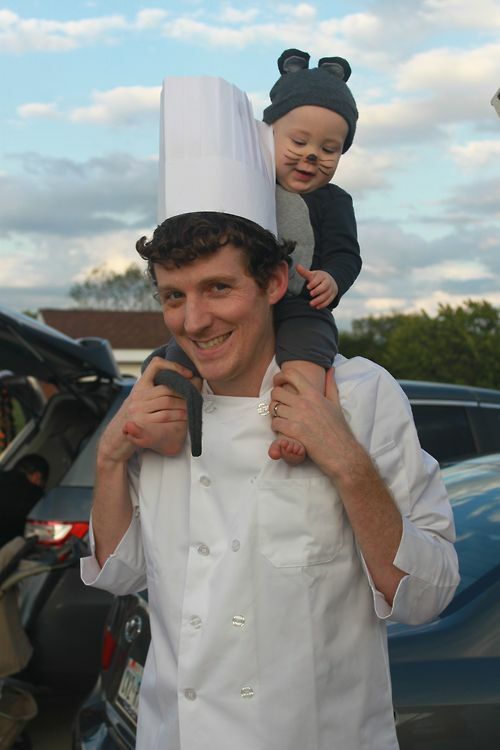 This one is easy—if you have curly brown hair (or a wig), all you need is a chef’s outfit complete with a hat. If you want to add Linguini’s sidekick Remy into the mix, dress your little one up as a rat and carry him or her around on your shoulders. Wednesday Addams has a creepy pale look, a black school-girl dress and likes to do her long black hair up in braids. You can easily substitute a wig for the hair, and lightly dust your face with some white makeup. Throw on a business dress shirt or skirt with some black tights to pull off her look, and don’t forget to be ultra-sinister to get into character. 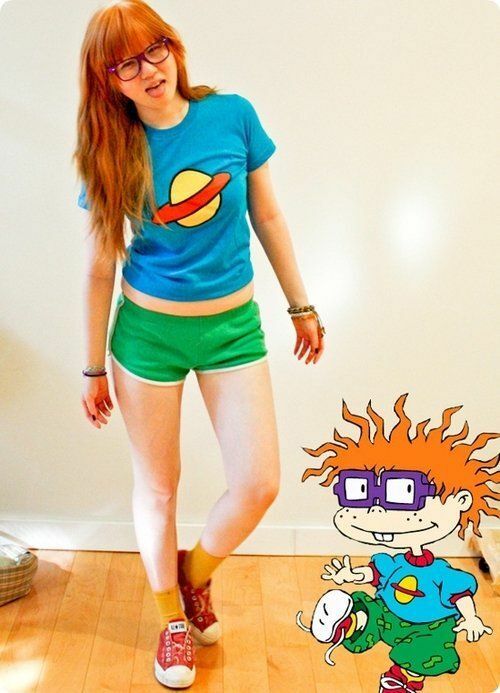 Being Chucky simply requires some bright-colored clothes, oversized glasses and cute red hair. If you aren’t already a red head, grab yourself a wig, and find some bright green shorts, red Chuck Taylors and a blue space T-shirt. Hello, Chucky! Most commonly known as the Crazy Cat Lady, this character sports wild grayish-purple hair, a pink robe and—of course—tons of cats. Pin some pictures of cats onto your robe or get some stuffed cats to carry around in a cart or bag. Make sure it’s overflowing with the little furballs. 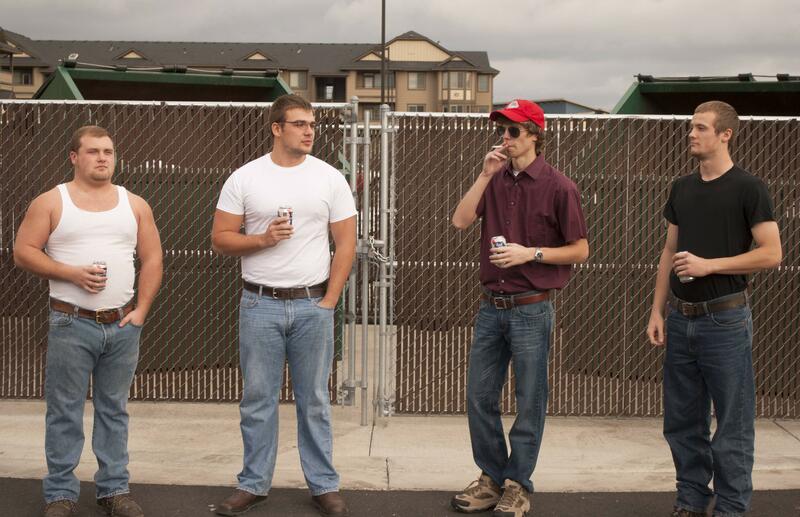 Whether you’re going out with friends this Halloween or have a bunch of kids to dress up, you can imitate Hank and the crew from King of the Hill! All you need are white T-shirts, flannels, empty beer cans and a cigar for one of the characters. Don’t forget Hank’s great 90s glasses! You can pick a pair of those up at a thrift store to create his unique look. Dressing up little ones in 90’s gear is easy and oh-so-cute! These costumes also make for an adorable mother-daughter or father-son duo. 90s jeans, a black T-shirt and hat, and some wigs are all you need to pull off these costumes. 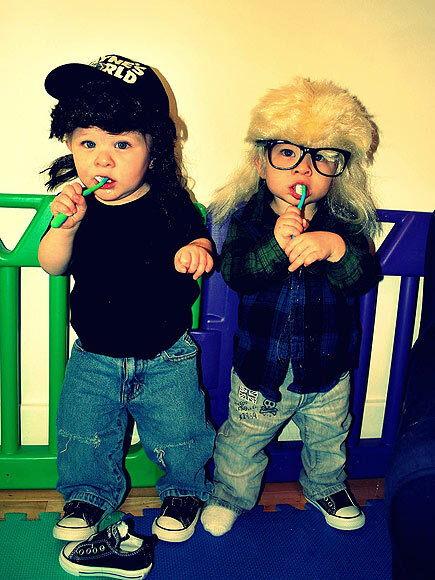 This Halloween, party on… dude. Don’t spend all your hard-earned money on fancy costumes this Halloween! Make your own with household items, some makeup and a little bit of creativity.